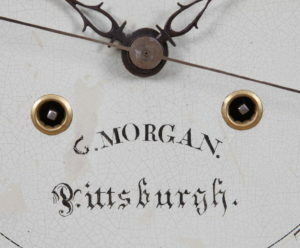 Gideon Morgan was a Watchmaker, Clockmaker & Silversmith at work on the West side of Wood St. between 2nd. and 3rd. St., Pittsburgh PA C. 1818 – 1826. 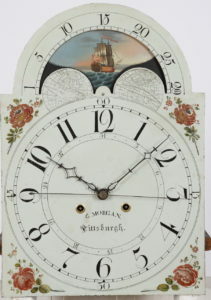 He is also listed in the early tax records of Pittsburgh C. 1818 – 1820. He also was a partner in the firm of Gideon Morgan & William Hart: Silversmiths. 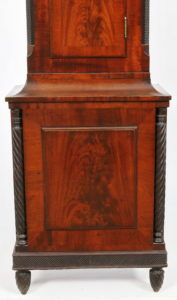 This is a rare example of a Western PA clock executed in solid Cherry case with figured Mahogany facings. 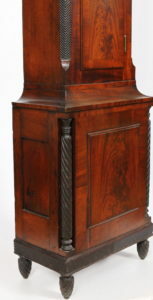 The clock overall stands at 98 inches to the top of the center finial. 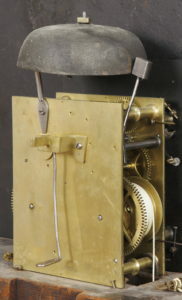 The eight day brass works with sweep seconds has the rare feature of “maintaining power” which is a significant technical development that keeps power to the gear train during winding. 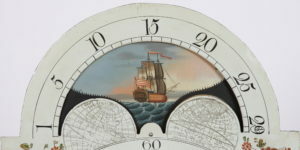 Most of the early American clocks do not have this feature. 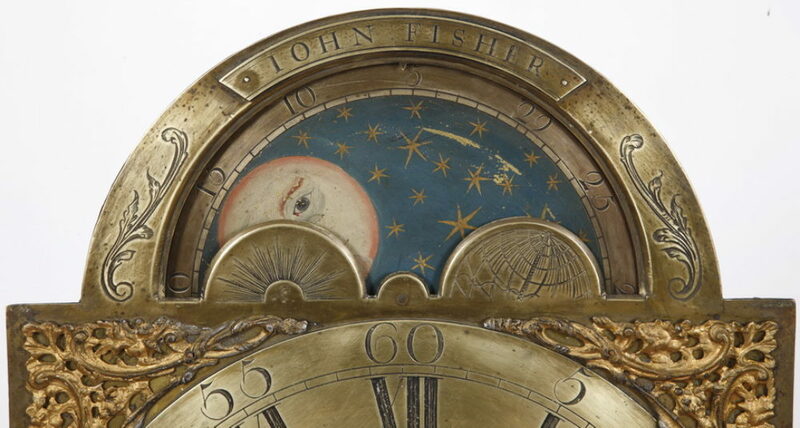 The painted iron dial is American and likely from the Nolen shop in Pittsburgh. 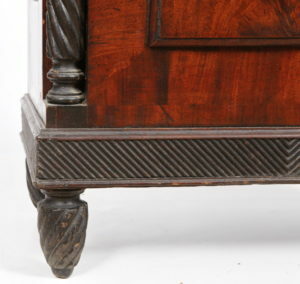 This is an original clock from top to bottom with original feet and finial. 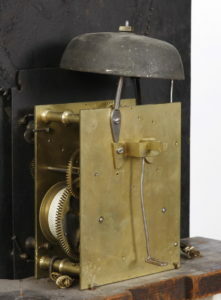 The clock stands at 98″ tall.